LARGE UFOs resembling brightly coloured fireballs have been spotted in the skies over Whitstable. 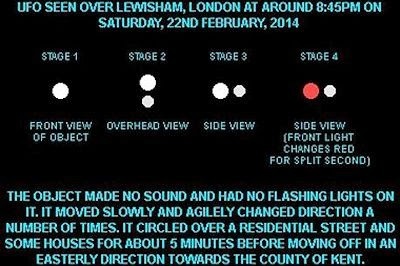 An eyewitness said they saw four "fireball" type UFOs while they were walking along Whitstable seafront just before 8pm on Sunday. 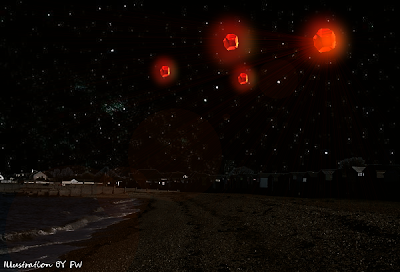 Certain they were not balloons or lanterns in the sky, the witness said: "I was walking along the seafront in Whitstable and noticed hovering over the Swale between Sheppey and Seasalter, four large, bright orange, fireball type UFO vehicles that on closer observation seemed to be octahedron shaped. "These four objects seemed to be hovering above the Swale and were around 400 feet above ground level." . . .
. . . The other two UFOs remained hovering over the Swale and one seemed to flash "purple beams of laser light" towards the other UFO before both flew off in the direction of the Kentish Flats offshore wind farm. 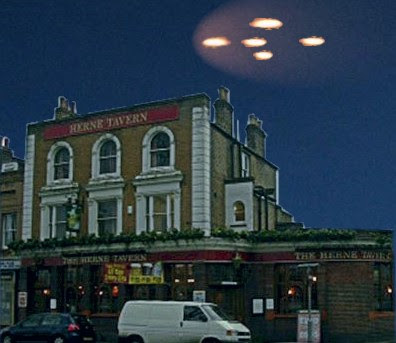 The eyewitness added: "As they flew over the Thames Estuary, sparks of light seemed to stream behind them. 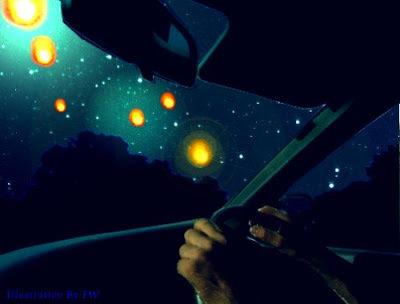 "These types of UFO Vehicles are commonly seen in this geographic region of East Kent."